Perfect for families and groups keen to get away to the countryside, YHA Alstonefield is situated in a lovely Peak District village surrounded by rolling hills. The peaceful self-catering hostel enjoys a large garden, a spacious and comfy lounge, superb views from the open-plan dining room, and en-suite facilities. Further eating options can be enjoyed with two pubs close by. Relax in the tranquility of this beautiful setting or head to Chatsworth House, Alton Towers and the market towns of Leek, Ashbourne and Bakewell, all less than an hour's drive away. 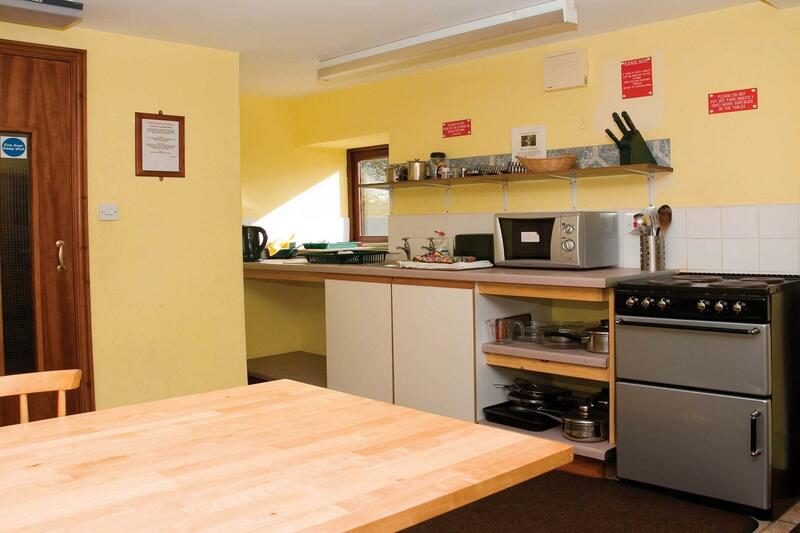 This 20 bed bunkhouse is a great base for groups of family and friends looking to explore the local area. There is a large TV lounge to relax in, along with a dining area and self-catering kitchens. You'll find comfy bedrooms with bunk lights and high standard bathrooms. This bunkhouse is self-catering only but there are two local pubs nearby. There are two kitchens with good quality equipment for guests to use, along with ample preparation and storage space. YHA Alstonefield cannot be booked online or through the YHA contact centre, please enquire via our Group Booking Enquiry Form. Rising from the valley floor, the cable cars give you stunning views of the Derwent Valley and surrounding Peak District. One of the most popular circular walks will take you down the valley into Milldale where you can visit the characterful shop/café. Take an off-road route down to the River Dove, there's lots of rough and ready tracks for you to enjoy. Pets: Assistance dogs are welcome at YHA Alstonefield. Pets are not permitted. Manager recommends: Peter Leeson says "Be sure to enjoy the magnificent limestone scenery, valley walks and the country houses of Haddon Hall and Chatsworth. Thrill seekers can round-off their stay with a visit to Alton Towers theme park."